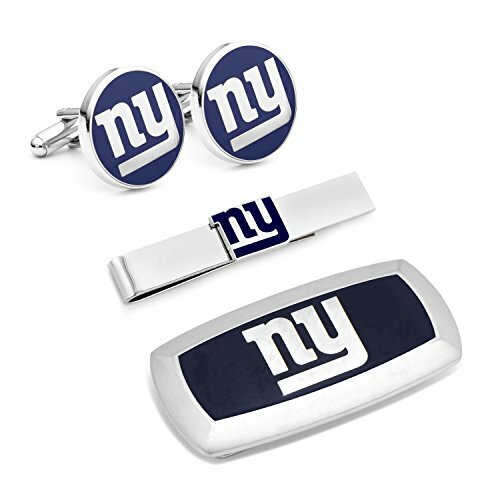 Gift set includes pair of cufflinks, a tie bar, and money clip. Plated base metal and enamel. Officially licensed by NFL.